Picture this. Waking to the call of the local wildlife in your luxury suite; the tangerine sun rising over the sweeping African landscape. From your window, you spy gazelles foraging for freshly sprouted leaves, and if you’re lucky, elephants roaming in the not-too-distant horizon. Sound too good to be true? Think again. No longer does a safari adventure have to mean roughing it with the wildebeest. Instead, Trafalgar brings you a collection of carefully-curated safari stays, based on a lifetime of local expertise, local connections and an innate passion for the land. From private viewing decks over the Zambezi River and intimate access to Africa’s Big Five, to private, sustainable villas and opulent spa services, you’ll have the chance to view the real Africa – home to the Trafalgar founders – through a different lens. This Trafalgar-exclusive lodge, set in the pristine African bush within the Karongwe Private Game Reserve, will go beyond your wildest safari dreams. 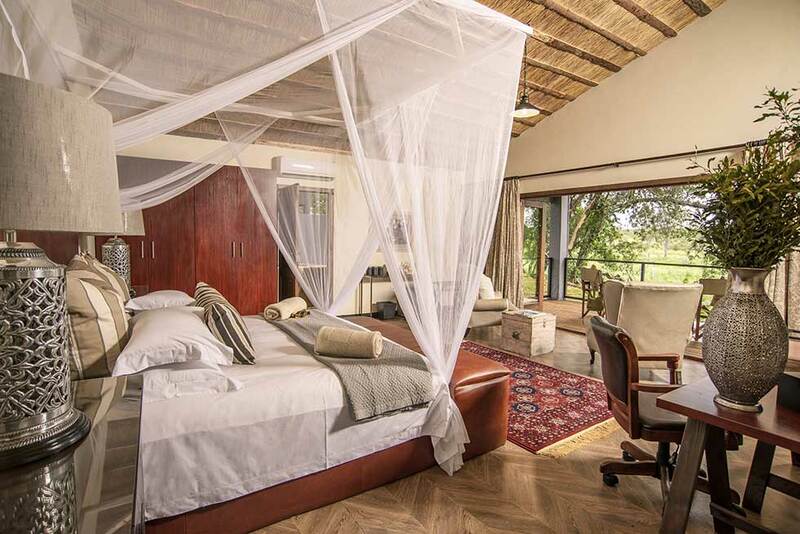 Each air-conditioned suite (only 10 in total) boasts views of either the Makhutswi River or a nearby waterhole, meaning your odds of spying the inquisitive African wildlife are quite high. When you’re not admiring the scenery from the main building’s viewing deck, take a refreshing dip in the luxury infinity pool or curl up in your comfy, air-conditioned abode made from locally-sourced materials. 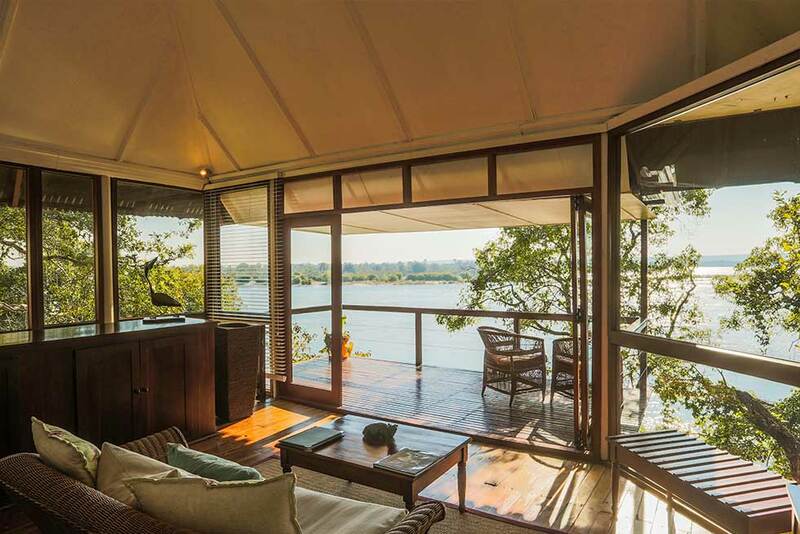 Coming to you from the peaceful banks of the Zambezi River, this elegant property offers 11 split-level thatched cottages, each with uninterrupted views and its own private deck. The River Club prides itself on its attentive and unrivalled personal service to guests, so expect first class treatment, incredible facilities and even an infinity-edged swimming pool. Spend time in the colonial style main building, which houses a fascinating library that focuses on the history of southern Africa. In fact, the lodge’s owner-manager, Peter is an avid historian, so settle in for a sundowner as he shares tales of Zambia’s heritage.